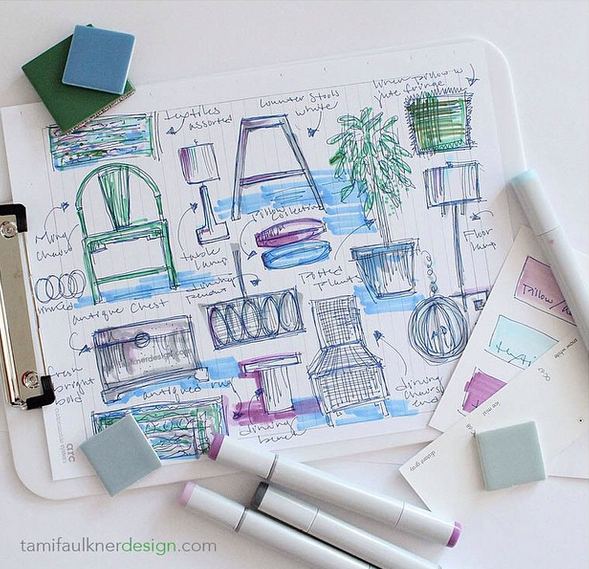 Meet Tami Faulkner, a Northern California based Interior Designer, instructor, and author of tfd illustrated, a series of books offering tips and techniques on hand-rendering for interior design students and professionals alike. Naturally we fell in love with her awe inspiring hand renderings and wanted to learn more. As former university interior design instructor, she taught kitchen & bath design and other interior design studio classes and considers the years of teaching and associating with design students as one of the highlights of her career. 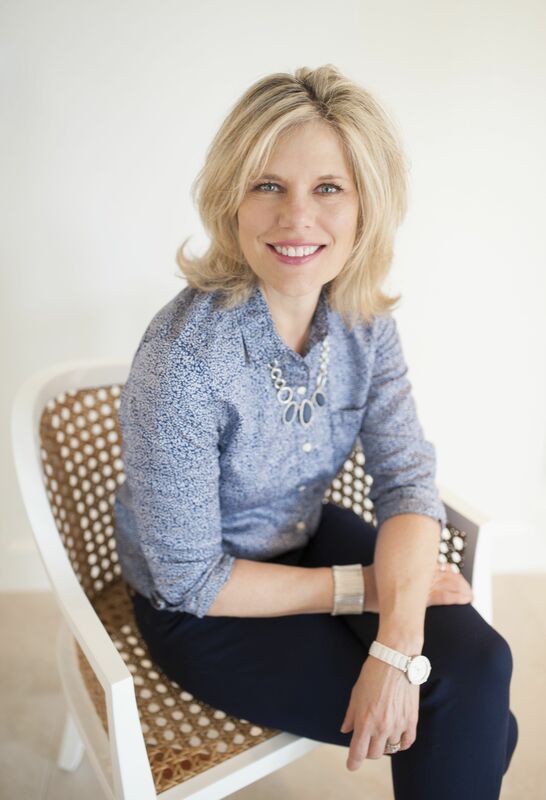 Tami's experience includes commercial, corporate, healthcare, and residential design projects although her specialty is residential remodels: particularly kitchen and bath design. She also dabbles in furniture design and graphic design as well to offer clients the complete package. We asked Tami to dispel a few words of wisdom for budding interior design students looking to make their portfolio stand out. The best design advice I've ever received was from one of my art professors who told me to spend time daily being an observer of art and design. 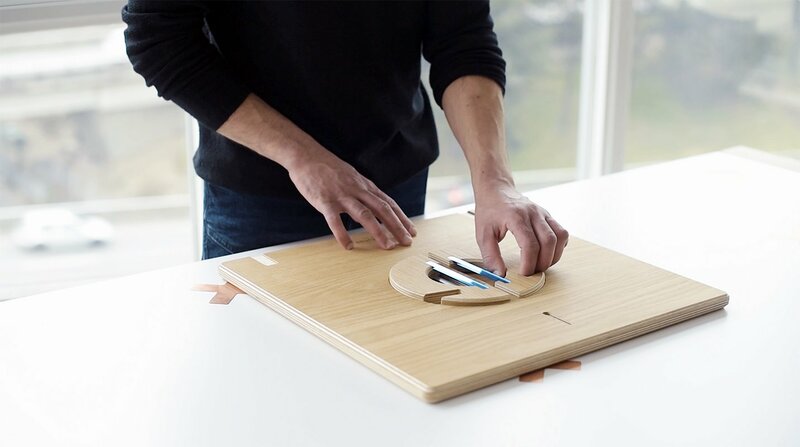 This practice has been invaluable to me, it has enhanced my creativity and provided visual inspiration to solving both spatial and aesthetic challenges. Start by carefully selecting a font for your name that visually represents the vibe and aesthetic you are going for. 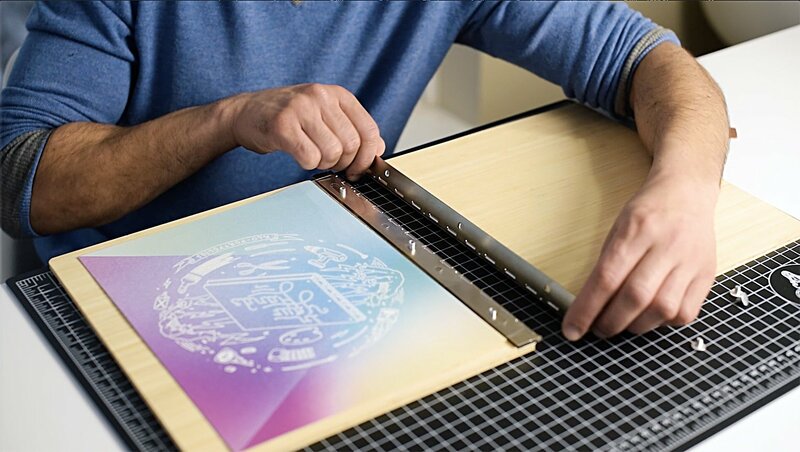 Showcase only your best work, using a variety of projects that show different abilities and skill sets. Establish and maintain graphic elements that tie things together visually from one page to the next. Advice I wish someone had shared with me when I started my career in Interior Design is tips on how to manage and organize the business part of design. 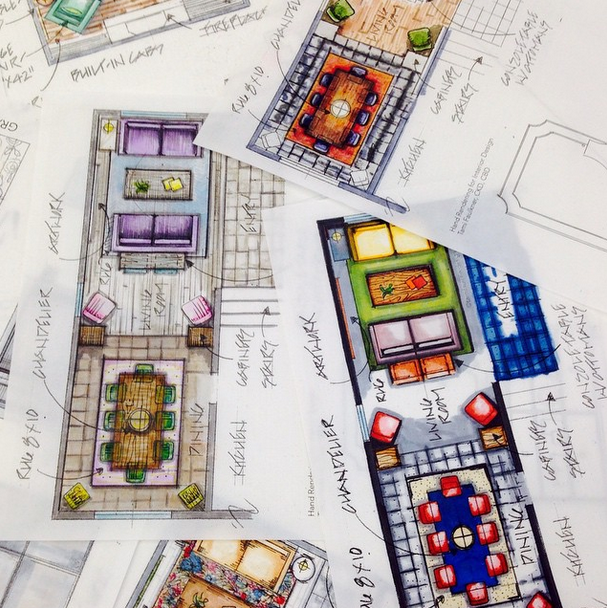 My inspiration for creating tfd Illustrated was as a former university interior design teacher I saw that there was a need for basic hand rendering tips for students that didn’t require them to be skilled artist. All the other publications seemed to be geared to those people who where already talented artist. My approach to teaching hand rendering, is simple and practical. TFD Illustrated was created as a supplement to the hand rendering classes I teach but can also be a stand alone resource. My favorite tip/technique to improve hand rendering skills is use of line and shadow. A design resource I can't live without is Adobe InDesign. I use it for a number of different task but particularly for client presentation boards. 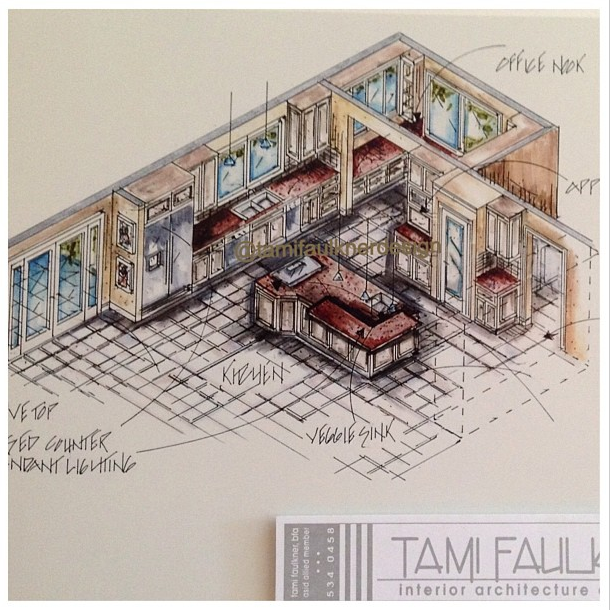 Follow Tami's work and hand rendering examples on Instagram at @tamifaulknerdesign and her Facebook for some awesome before and after remodeling photos. 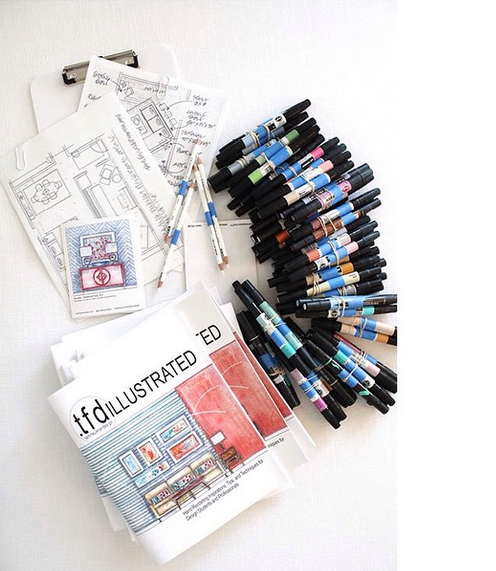 tfd Illustrated by Tami is a 50 page book is full of illustrations, tips and techniques for hand rendering, floor plans, elevations and perspectives. 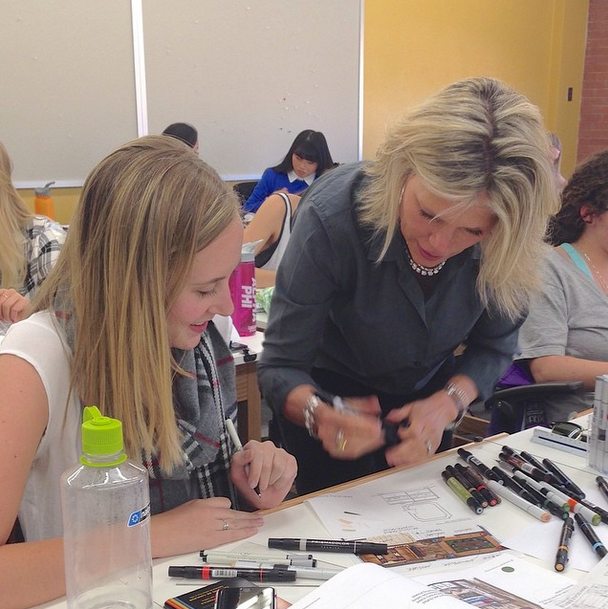 Tami helping a student in hand rendering techniques at Northern Arizona State during the second session of her workshops.